It’s that time of year again, when everyone goes on epic gift-shopping sprees, wraps presents, puts up holiday decorations, sends out Christmas cards, and generally gives themselves over to an abundance of seasonal cheer. AND…we watch, for the upteenth time, our favorite holiday movies. Aside from enjoying the heartwarming messages and implausible plots of such films, half the fun is noticing some of the interesting filmic elements we may have missed the first (or second, or third, or hundredth) time watching them. For aficionados of car culture, that fun takes the form of spotting the cars that make cameo appearances in many of these flicks. Hollywood certainly does love its cars. 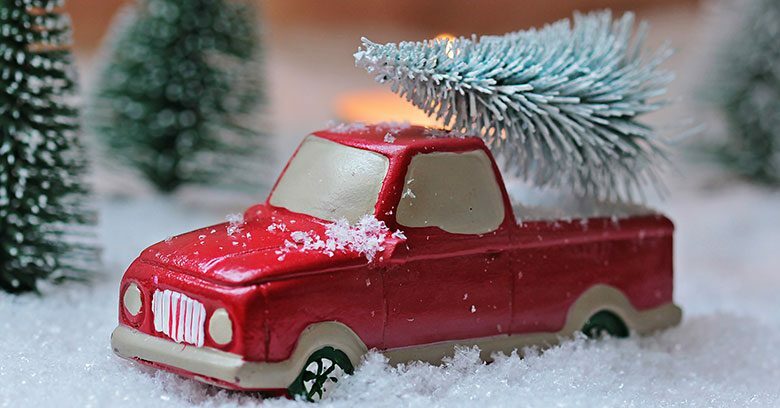 Herewith are a few of our favorite holiday films (with selected scene clips) in which automobiles play memorable supporting roles.